As Chevy, and its parent company GM, struggles to get its mojo back, it continues to rely on its tried and true brand names. It's a strategy that's worked well for automakers such as Ford, which revived the Taurus and Mustang brands to varying levels of success. In Chevy's case, the Corvette, Camaro, Impala, and Malibu are the automaker's iconic brands, and all have succeeded in carrying forth their legendary status into the 21st century. The Malibu in particular, with it's laid-back sun-, sand-, and surf-inspired name, has retained a fairly high level of traction with buyers. 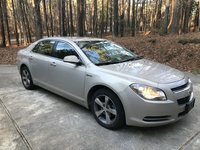 But while the Malibu has performed well, it could use a jolt of excitement, which the automaker hopes to accomplish with the upcoming eighth generation in 2012. Nearing the end of its current seventh generation, the Malibu does a lot of things well, although owners and reviewers have voiced a few negative issues about the car. First, the positives. The Malibu offers sporty styling, a quiet, comfortable ride, seating for five passengers, excellent fuel economy for its class, and decent performance from a choice of two engines, including a V6 powerplant. On the downside, some find the Malibu's interior dated with a lack of build quality and cite poor visibility out the rear as a problem area. The four-door, front-wheel-drive Malibu comes in LS, LT1, LT2, and LTZ trims for 2011. A 169-hp, 2.4-liter four-cylinder engine provides base power for all trims, although buyers of the LT2 and LTZ trims can upgrade to an optional 252-hp, 3.6-liter V6. Both link to a six-speed automatic transmission with TAPshift controls, which enables manual shifting. The four-cylinder posts fuel economy numbers of 22/33 mpg, which beats the best numbers of such competitors as the Toyota Camry (32 mpg) and the Honda Accord (31 mpg). The V6 manages 17/26 mpg. Most reviewers give the current-generation Malibu good overall marks, singling it out for its sleek, sporty exterior design with European influences, as well as for its interior design. The instrument panel, gauges, dashboard, and easy-to-use controls in particular appeal to reviewers. Testers also like the Malibu's driving dynamics. The 2010 Malibu was named a Best Buy by Consumer Guide, and the IIHS awarded awarded it a Top Safety Pick honor. 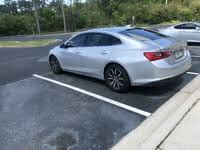 However, the current-generation Malibu debuted in 2008, and since then has lost some ground in its competitive midsize sedan automotive segment, according to many reviewers, who recommend shopping around to find better-priced, better-equipped vehicles. As a result, many are keeping an eye out for the eighth-generation Malibu, expected to debut in 2012. The new Malibu will sit on an Epsilon II platform, borrowed from the Buick LaCrosse and the Saab 9-5, which will result in a smaller, wider midsize sedan. According to early reports, GM plans to swap out the Malibu's current optional V6 for a turbocharged four-cylinder. In addition, the new Malibu will have more cabin room than the current version. Prospective buyers have the option of waiting for the next-generation Malibu or taking advantage of good deals on current-generation trims as dealers clean out their lots in 2011 in expectation of the new version. 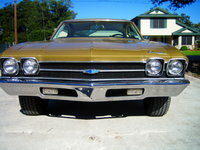 When it debuted in 1964, the Chevrolet Malibu was part of the automaker's Chevelle lineup. Designed to compete against the Ford Fairlane and exude muscle-car ambience, the Chevelle came in a number of trim levels, including the top-of-the-line Malibu, available in four-door sedan, two-door hard-top, convertible, and station wagon body styles. 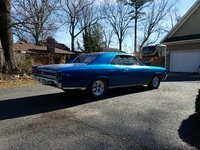 The Malibu trim offered more refined interiors than the other Chevelles, and came equipped with upgraded vinyl upholstery and carpeting, as well as a deluxe steering wheel. 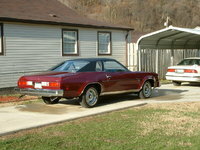 Buyers also could add an SS (Super Sport) package, which included bucket seats, a center console, and unique instrument gauges and wheels, to two-door Malibu coupe and convertible trims. 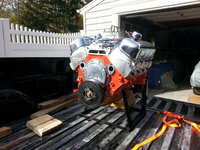 Power came from a range of six-cylinder and V8 engines, including a 300-hp, 327-cubic-inch small-block V8. The following year, Chevy updated the Malibu's grille, taillights, and exhaust pipe, and increased horsepower for the top-of-the-line V8 to 350 hp. In 1966, Chevy added a new four-door Sport Sedan hardtop trim. 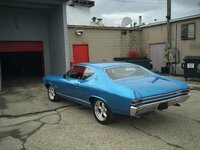 The Chevelle/Malibu also received a more rounded exterior design. 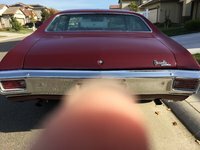 In 1967, a Chevelle Malibu Concours station wagon debuted, distinguished by the wide strips of simulated wood trim along the sides, and Chevy again tweaked the Malibu's exterior design, adding a new grille, taillights, and tires. The second-generation Malibu, still part of the Chevelle line, appeared in showrooms with the 1968 model year. Exterior updates included a fastback-style roofline for two-door hardtops, a revised interior with a new instrument cluster featuring round gauges, and a new 200-hp, 5.0-liter (307-cubic-inch) V8 engine. In addition, Chevy introduced an upscale Concours package for Malibu sedans and coupes that featured wood-grain interior trim and upgraded upholstery. 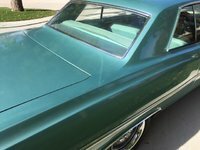 By 1970, the Chevelle line had almost completely morphed into the Malibu line, since practically every Chevelle trim carried the Malibu badge (at least for the first half of the model year, since several lower-end Chevelle trims joined the lineup in mid-year). Chevy again tweaked the Malibu's range of available powerplants, adding a new 300-hp, 5.7-liter (350-cubic-inch) V8, and offered its Turbo Hydra-Matic three-speed transmission on all Chevelle/Malibu trims for the first time. For the following two years, Chevy made minor tweaks to the Malibu's grille, headlights, and taillights. 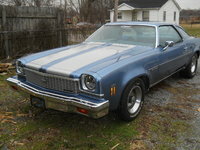 For the third generation, which debuted in 1973, Chevy revamped the Chevelle lineup, which ranged from the entry-level Chevelle Deluxe to the mid-range Malibu to the premium Laguna trims. The following year, the Deluxe disappeared from the lineup, making the Malibu the entry-level Chevelle trim. 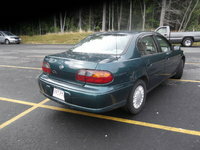 In addition, at the upper end of the lineup, the Laguna was replaced by the Malibu Classic. The fastback-style roofline remained for hardtops, with a frameless window design along the sides. Chevy strengthened the B-pillar to meet upcoming rollover federal requirements, and added new bumpers, insulated roofs, and door handles. 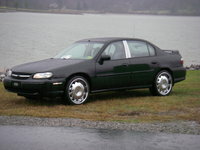 The automaker also offered an SS package, which included a black grill, unique trim, and 14-inch rally wheels and tires, for the Malibu coupe and station wagon. 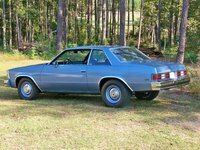 By the fourth generation, which bowed in 1978, the Malibu name had replaced the Chevelle name for all of Chevy's midsize cars except the Monte Carlo. Buyers could choose from Malibu and Malibu Classic trim levels, and from sedan, coupe, and station wagon body styles. 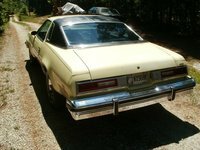 In addition, Chevy's two-door El Camino coupe/pickup, which was entering its fifth generation, was now based on the Malibu, with a similar front end and bumpers, as well as a rear tailgate borrowed from the Malibu wagon. Although shorter and lighter in weight (by up to 1,000 pounds) than the previous generation, the new Malibu offered more legroom, headroom, and trunk space. 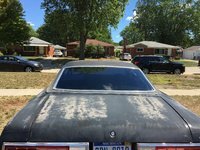 However, the rear windows in sedans were fixed in place, although the wagons had small vent windows. 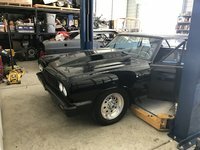 Chevy offered an SS upgrade package only for the El Camino. In 1982, Chevy gave the Malibu an exterior update, which included a new front end. 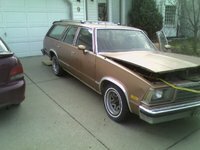 In addition, the automaker dropped the two-door Malibu coupe from the lineup, and after 1983 the Malibu sedan and station wagon ceased production as well. 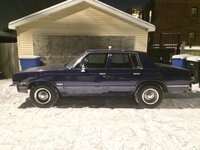 Only the El Camino continued to carry forth the Malibu's rear-wheel-drive chassis and body until 1988, when it, too, was phased out. 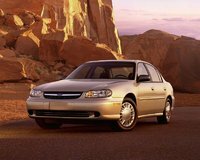 When the fifth-generation Malibu was re-introduced by Chevy in 1997 as a replacement for the Corsica in the automaker's lineup, it had morphed into a front-wheel-drive vehicle and shared a platform with the Pontiac Grand Am, Buick Skylark, and Oldsmobile Achieva and Alero. 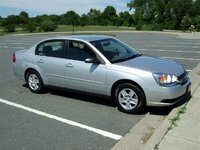 Available in Base and LS sedans, the Malibu was designed to appeal to buyers in their 30s and 40s, and competed against such sedans as the Honda Accord, Toyota Camry, Nissan Altima, and Ford Contour. Power for the Base trim came from a 150-hp, 2.4-liter four-cylinder, while the LS received a 155-hp, 3.1-liter V6. The exterior featured a fairly clean, rounded, nondescript design popular at the time. Hidden wipers and flush door handles helped improve the vehicle's aerodynamics. 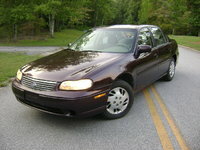 In 2000, Chevy dropped the four-cylinder engine and replaced the V6 with a new 170-hp, 3.1-liter V6. 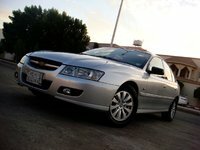 The sixth-generation Malibu, which debuted in 2004, rode on a new Epsilon platform shared with the Saab 9-3 and the Opel Vectra, a midsize sedan produced by GM's German subsidiary. Built in GM's Kansas City plant, the new Malibu came in Base, LS, and LT four-door sedan trims, and also as a five-door station wagon (essentially a hatchback) dubbed the Malibu Maxx. A four-cylinder powerplant returned to the lineup in the form of a 144-hp, 2.2-liter Ecotec engine, which provided base power for the Malibu sedan, while the LS and LT trims were equipped with a 201-hp, 3.5-liter V6, and the Maxx wagon received a 240-hp, 3.9-liter V6. 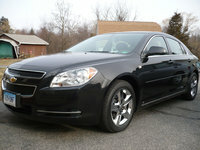 For the 2006 and '07 model years, Chevy offered an SS package for the Malibu sedans and the Maxx. 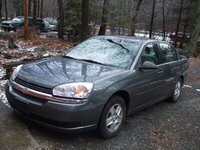 The Malibu's seventh generation appeared in showrooms with the 2008 model year. 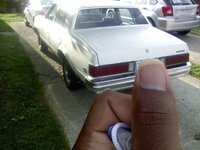 Sitting on a revised Epsilon platform, it stretched 3 inches longer overall than the previous generation, making it the largest sedan in its class. Although interior space decreased slightly, front legroom increased, while rear-seat legroom also decreased slightly. 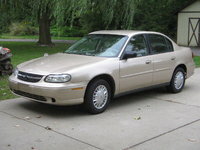 In addition to the LS, LT, and LTZ trims, Chevy introduced a Malibu Hybrid in 2004. Equipped with a hybrid version of the base 2.4-liter Ecotec powerplant and available in the LS trim, the Hybrid posted fuel economy numbers of 24/32 mpg, which increased to 26/34 for the 2009 model year. Chevy dropped the Hybrid from the lineup in 2010. In 2009, Chevy dropped the Maxx wagon from the lineup, and added a six-speed automatic transmission as standard equipment to all sedan trims. OnStar and traction control also became standard features in '09, while electronic stability control was standard on all trims but the entry-level LS. With its long and storied history, the Malibu offers plenty of choices to buyers seeking used vehicles. Most buyers will probably focus on late-model Malibus, in particular those built after 2009, which came equipped with a wide range of safety features, including traction control, electronic stability control, antilock brakes, and six airbags. The Malibu Hybrid, built from 2006 to 2010, might be a good option for owners seeking a fuel-efficient ride, while V6-equipped Malibus can be good choices for buyers who require a little more power under the pedal. Similarly, the Malibu Maxx, also available from '06 to '10, adds a level of functionality to the Malibu, thanks to its hatchback design, which makes it easy for owners to load cargo into the rear trunk space. Current-generation (seventh-generation) Malibus are slightly longer than the mid-2000s Malibus, and offer more front-seat legroom, while Malibus built during the mid-2000s were slightly shorter overall yet offered a little more rear-seat legroom, so they should appeal to owners who frequently carry adult passengers in the back seat. However, some owners and reviewers consider the Malibus of the fifth and sixth generations (built between 1997 and 2007) to be unexciting in their exterior design. 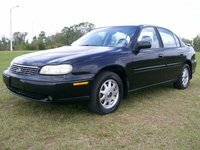 Generally, Malibus built in the past few years have achieved good reliability ratings, although a number of recalls plagued the Malibu during the early years of the current century. Prospective buyers will find this reflected in resale values, which in turn affect pricing for used Malibus. Mechanical problems in particular affected some Malibus built between 2000 and 2005. Budget-minded buyers will probably focus on Malibus built in those years, and would be wise to check repair records and recall data for the model year they're considering. Alternatively, some late-model Malibus might still be under their original warranties. 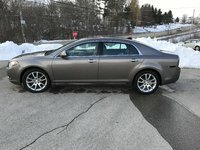 The 2010 Malibu, for example, came with a three-year/36,000-mile limited warranty, as well as a five-year/100,000-mile powertrain warranty. 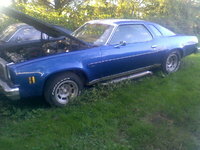 All Malibus built after 1997 were front-wheel-drive vehicles, while those built prior to 1983 were all rear-wheel drive. As a result, collectors and those seeking a higher level of handling and performance will find good examples of Malibus from the earlier generations still available, although many are being sold through auctions and specialized dealers. 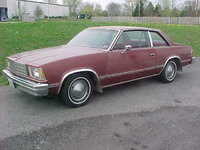 Unique vehicles like the fifth-generation El Camino (based on the Malibu from '78 to '88), as well as the Malibu wagons of the late '60s, with their simulated wood exterior trim, make good conversation pieces as well as reliable, functional transportation options that stand out from the crowd. The 2020 Chevrolet Malibu has been announced, but it is not yet available for purchase. 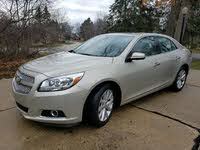 I have 2013 Chevrolet Malibu LTZ. The radio, display panel will not come on. Checked all the fuses and they are good. What else could it be?